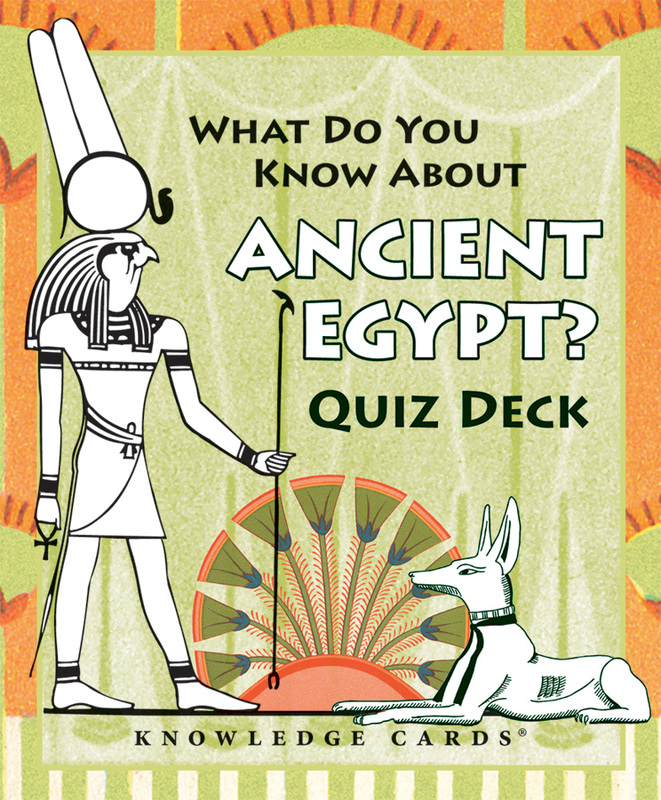 If when you think of ancient Egypt only pyramids, cryptic hieroglyphs, and Hollywood-style mummies come to mind, then you can learn something from this 48-card deck of Knowledge Cards. 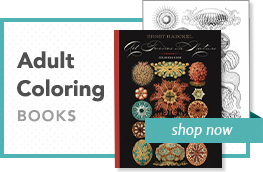 Dig into the facts about such larger-than-afterlife characters as King Tut, Hatshepsut, Cleopatra, and Mark Antony; unearth the Rosetta Stone and the mysteries it illuminates; and excavate the latest theories about the construction of the Great Sphinx. What Do You Know About Ancient Egypt? will unravel these enigmas and many more. 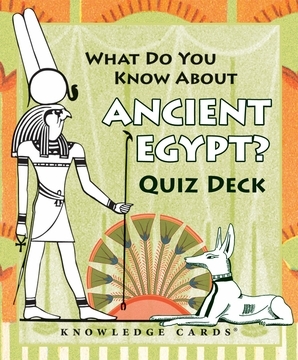 On the front of each card, you’ll be asked a question, such as “What was the probable purpose of the pyramids?” or “What accessory was worn by almost every ancient Egyptian?” On the flip side, you will find the answer amidst additional information written in an engaging, witty style. Use the deck for solo study or as a multiplayer quiz game—either way, you may get buried in hours of fascinating fun.